Over the last few years we have raised funds for large projects such as a new school minibus (£20,000), audio visual equipment for The Boswells Theatre (£15,000) and new picnic benches for the courtyard (£2200), to smaller items such as a student microscopes, graphic calculators and a drum kit (total £7000). 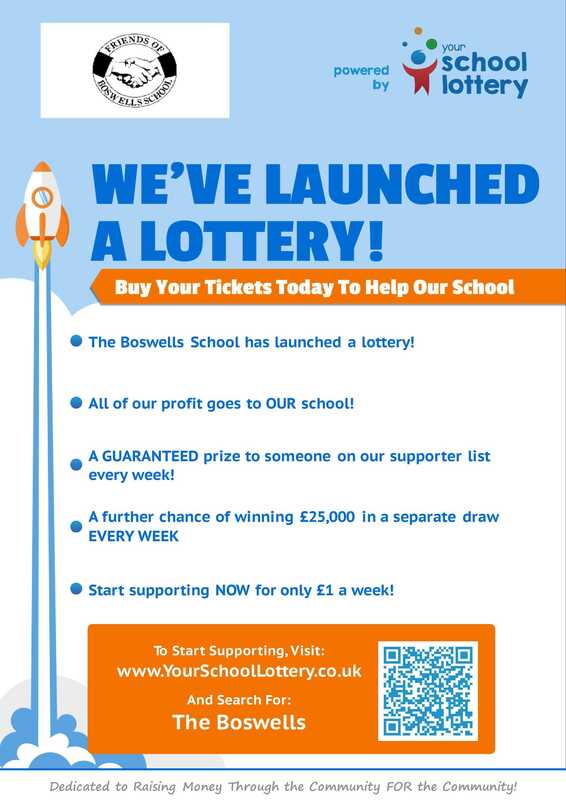 Your children will benefit from our fundraising at some time during their time at The Boswells School. How would you like to have a say in how we raise and spend our money? Without new input and ideas FOBS would cease to exist and all the above donations just simply would not happen. We meet every two months, meetings are informal and all parents/carers are invited to attend. We look forward to seeing you. Click here for 2018-2019 meeting dates.